The PSNI said the man, aged 44, was released on bail pending further police inquiries. 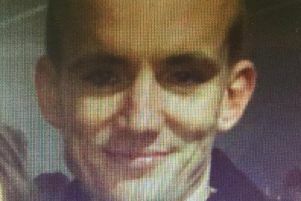 Wayne Boylan, 37, was killed on January 18 when two masked men burst into his friend’s home on the Lower Dromore Road, Warrenpoint and opened fire. A 21-year-old woman who was in the property at the time was injured in the incident. Detectives said there was “no clear motive” for the attack, and an appeal for information has been made.